These days, every little town and village in Italy has its sagra or festa, a weekend, or longer, in celebration of a particular local food. Although they have a whiff of tradition about them, most of these are relatively recent inventions, designed to attract tourists as much as honour the food and cement community relationships. 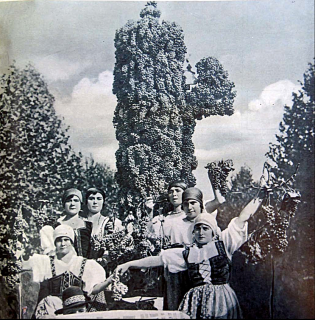 I was surprised to learn, then, that in 1930 Mussolini’s Minister of Agriculture, Arturo Marescalchi, proposed a national celebration of the grape – the festa dell’uva – throughout the peninsula. There were many reasons. A glut of table grapes was certainly one, as the government sought to persuade the public to eat Italian. There were also political motives, celebrating Italy as a young nation and strengthening support for the fascists. The result, for a few glorious years, was an annual spectacle of amazing proportions. 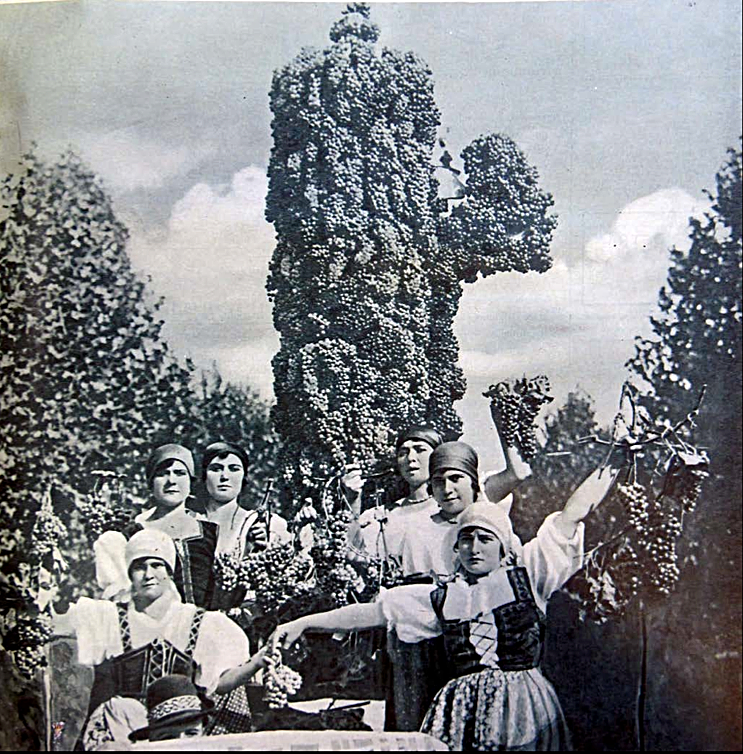 In Rome, markets were set up for each region to sell its table grapes, there were processions of outlandish grape-themed floats, and a good time seems to have been had by all. Ruth Lo, a PhD student at Brown University and scholar at the American Academy in Rome has been studying the period and generously agreed to talk to me about her work. Ruth Lo recently presented a paper – Celebrating the festa dell’uva: Grapes and Urban Spectacle in Fascist Rome – at the annual meeting of the Southern Historical Society in Atlanta, Georgia. L’istituto Luce, L’Unione Cinematografica Educativa, was another arm for fascist propaganda. Some of the films Luce made are on YouTube. Two of my favourites, well worth the visit as historical documents, are the celebrations at the Basilica di Massenzio, these days the home of a literary festival, and one from Marino in the Castelli Romani, apparently Marescalchi’s inspiration and still going strong today. Wonderful interview with Ms. Lo. I was curious about the broth in the diet of Mussollini who was not, shall we say, snello!